Transformation is the cornerstone of TetraMap. In this series, we share stories to reveal how effectively our Facilitators ignite individuals, teams and organisations. All around the globe, TetraMap Facilitators are enablers – trained to unravel the complexity of human behaviour in ways that celebrate our natural diversity. Not only does TetraMap unite people using a set of tools that help them learn from one another, it also creates sustainable business solutions to achieve tangible performance results. Our first story is set in New Zealand. This inspiring, courageous journey delves into the transformation of the world’s largest indigenous tertiary institute – Te Wānanga o Aotearoa. Here they used TetraMap to develop a unique indigenous communication model that supports cultural diversity, fosters stronger leadership and deepens the educational experience for both tutors and students. Originally constructed by a group of expelled students on what used to be a rubbish dump, and paid for by founders who believed the organisation was so vital that they mortgaged their homes to make it happen, Te Wānanga o Aotearoa quickly established itself as a credible tertiary education alternative in New Zealand. Ever since it began, when the roll was just 20 students, this education provider has been deeply committed to helping those disenfranchised by the mainstream education system. Fast forward 30 years and Te Wānanga o Aotearoa is not only the second largest tertiary provider in Aotearoa – New Zealand but also the largest indigenous tertiary institution provider in the world. Its success is largely attributed to the institution building strong relationships with iwi (Māori tribes) and its communities. Today, it offers a range of certificate, diploma, degree and Masters level qualifications to over 30,000 graduates. The original building, Otāwhao Marae, was opened on 27 April 1985 and still stands on the college grounds. Today it is used as a resource to reveal the history, philosophy and principles to its students and staff. While Te Wānanga o Aotearoa’s past is respected, the institution has also used new tools to help it rapidly evolve. The Institute’s ability to seemingly effortlessly celebrate cultural diversity is seen globally as a key to its success. (Practice of Excellence) development and delivery practices in the institution – believes a lot of that comes down to their adoption of TetraMap and the programme’s versatility. “I like to know how people think/behave. TetraMap had the Instrument which could be readily used which means I didn’t have to develop our own entirely from scratch,” she says. Ako Wānanga is the unique framework that Te Wānanga o Aotearoa uses. At the heart of Ako Wānanga is a commitment to nurturing transformative education and ako (teaching and learning) experiences. Supported by its founders Yoshimi and Jon Brett, Ruhia has made it her mission to align TetraMap with an indigenous perspective. To do this, she has customised the TetraMap to work alongside Te Wānanga’s own version of the instrument, creating a development tool, especially for Te Wānanga O Aotearoa’s unique learning environment. “As an indigenous culture, we naturally connect to nature when we get caught up in mainstream teaching. In one of our classrooms, it’s crucial to engage with different cultures. There is a saying “don’t teach me my culture, but use my culture to teach me”. That phrase is used a lot at Te Wānanga,” explains Ruhia. The institution was vital in supporting Ruhia’s development to first become a Master TetraMap Facilitator. This has meant she’s been able to train the Ako Wānanga team to become Certified TetraMap facilitators (CTFs). Te Wānanga o Aotearoa now has 7 CTFs and want to train more staff. 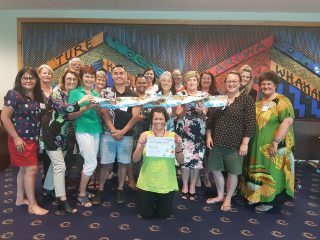 The Ako Wānanga team supports all staff in their pursuit of excellence – particularly the 640 national tutors that make up the teaching staff. 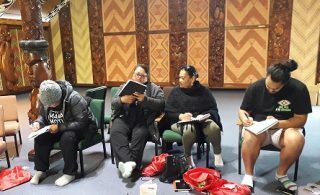 As part of each tutor’s development, they attend Ako Wānanga workshops which use a revised version of the TetraMap Instrument, specifically designed for Te Wānanga o Aotearoa. This approach has culminated in a wide variety of ways an indigenous approach to TetraMap is used by tutors, both inside and outside the institution. The reason TetraMap resonates so much and has been transformational for Te Wānanga o Aotearoa’s cultural diversity is that it speaks to similar principles of an indigenous model Te Tapa Toru (see the model on the last page). This was passed down to Ruhia from her grandparents and parents. “We were never taught about this at school, we were not allowed to learn about our own culture or our language. Connecting with the environment is a natural part of my culture,” explains Ruhia, who has modified TetraMap’s My Nature Your Nature Instrument. This has meant Te Wānanga o Aotearoa has been able to use it to assist its tutors to identify their unique teaching and assessment preferences. For example, if the tutor is high Earth, the model helps to ensure they fully consider other preferences when assessing. While Ruhia explains that Te Tapa Toru will “always be with me”, it is the support of the TetraMap wh whānau (family) that is enabling her to take her Māutauranga (knowledge) and Mōhiotanga (skills) to another level to drive and evolve Te Wānanga o Aotearoa’s teaching philosophy. Using TetraMap throughout the institution has helped create a place where every person – tutor or student – can actively learn together by adopting a variety of different styles. 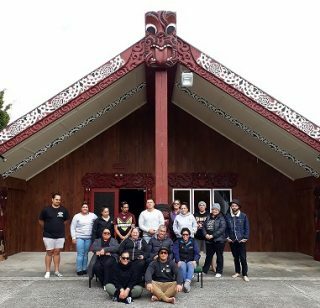 Ruhia knows that by continuing to foster this process, others at Te Wānanga o Aotearoa and its wider stakeholder communities will also get to experience the mana (prestige) of the programme – something she felt the moment she first encountered the TetraMap team at an Auckland marae in 2011. What was also exciting for Ruhia was meeting two beautiful Mana Māori wāhine (strong Māori women) Kataraina Pipi and Marcia Cassidy, who facilitated her TetraMap training. “That stirred the fire in me to become a Certified TetraMap Facilitator and then later becoming a Master TetraMap Facilitator”. After becoming a facilitator, Ruhia began adding bespoke touches from Māori culture to the Instrument and met with Yoshimi and Jon Brett to show what she had done. They approved because it worked. Whenever she trains tutors using this approach, she says every tutor finds it easier to understand and contextualise their own educational environment. Combining Māori and TetraMap insights is also vital for the way Ruhia plans the teaching strategies needed for each individual class. It also helps Te Wānanga o Aotearoa’s development as a whole community – one that respects every individual and their behaviour and insights. Most importantly, however, it brings together the physical and the spiritual and teaches people to “look twice, think twice and take two breaths before you speak”. In July 2017, Ruhia presented the story of Te Wānanga o Aotearoa and its connection to TetraMap at the World Indigenous Peoples Conference for Education in Toronto, Canada. Ruhia says It was an honour for her presentation to be selected from over 1000 applicants. 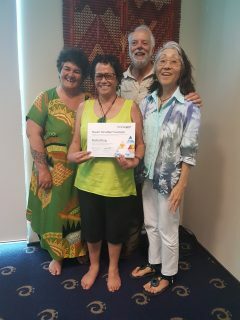 Ruhia King, Te Wānanga o Aotearoa accepting her Master TetraMap Facilitator Certificate from founders Jon and Yoshimi Brett. With Kataraina Pipi, Master TetraMap Facilitator.